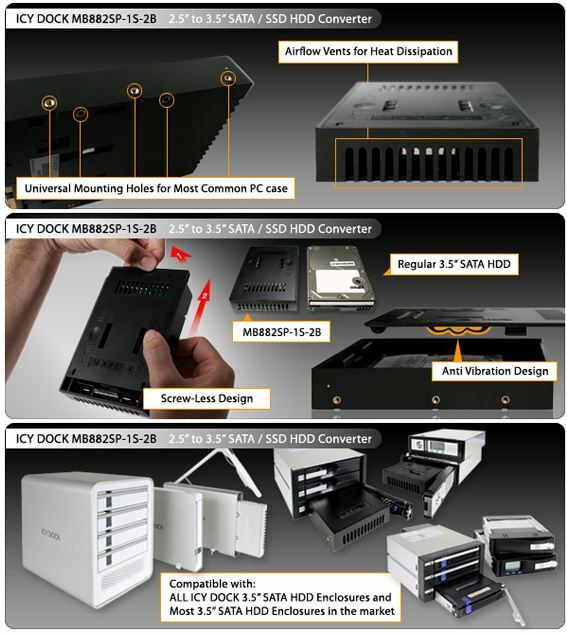 Introducing the ICY DOCK MB882SP-1S-2B: another milestone in our 2.5” SSD product line. Through manufacturing efficiency, we have managed to redesign the original MB882SP-1S-1B without any sacrifice to our standard of high quality products. The new version is lighter weight for simplicity and cost efficiency. It is very convenient for gamers and power users who expect SSD speed on their home/ office computers. Some other new elements to the converter are viewing slots placed over the SATA connection, allowing the user to verify their HDD or SSD has made a secure connection. 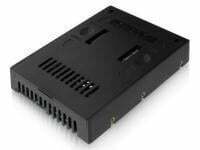 This also functions as an extra set of airflow vents for extra cooling with your SSD or HDD. Overall, a lightweight and simplistic design that is perfect for power users, gamers, and average computer users for use in their desktops, media centers, and home servers. 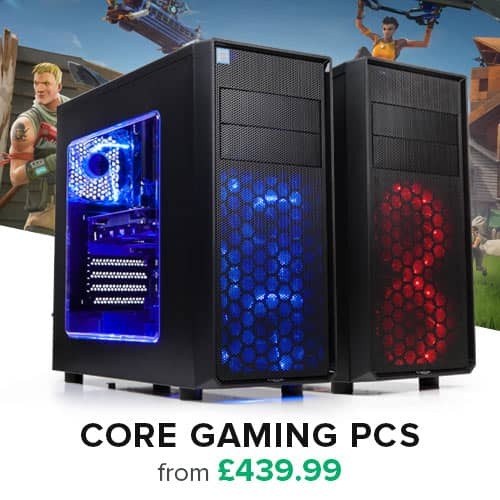 Perfect for Power Users, Gamers, and Average Users.